 At Kaiser Home Support Services, we know firsthand the value of community. That’s why, as an organization and as individual team members, we’re committed to activities that make our community stronger, safer and healthier. Here are just some of the organizations with which Kaiser has been pleased to be involved for the good of our whole community. Red Nose Day was a blast! 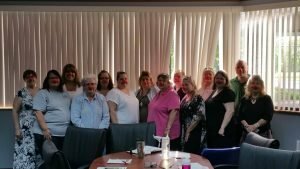 As Walgreen’s website will tell you, “Together we raised tens of millions of dollars to help fight kids’ poverty in America and around the world.” Kaiser Home Support Services was proud to be a part of this fun and meaningful charity that takes place all across the country. 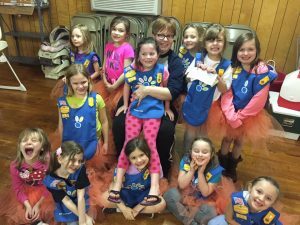 Kaiser Home Support Services joined forces with Kentuckiana Girl Scouts to send cookies to service men stationed overseas, as well as veterans organizations, homeless shelters, and other organizations in our service area. 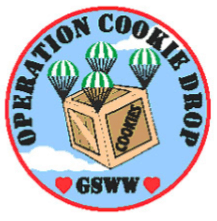 Kaiser donated enough money to supply 110 cookies to the cause! Kaiser Home Support Services paired up with Dare to Care to hold a food drive before Thanksgiving 2016. Both Dare to Care and KHSS wanted to find a way to help those most in need have a happier holiday. The food drive was a huge success! 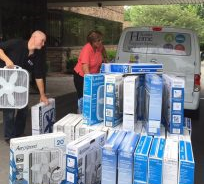 Kaiser worked with Community Action Southern Indiana to hold a fan drive before the heat of summer rolled in. CASI distributed the fans throughout the Kaiser service area. KHSS matched the first 25 fans donated. We donated 40 fans! 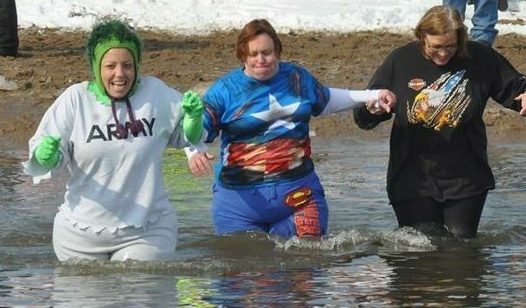 Kaiser Home Support Services supports the Special Olympics by raising donations, and participating in the polar plunge!